FINAL SUMMER MEETING AT THE DEPOT! 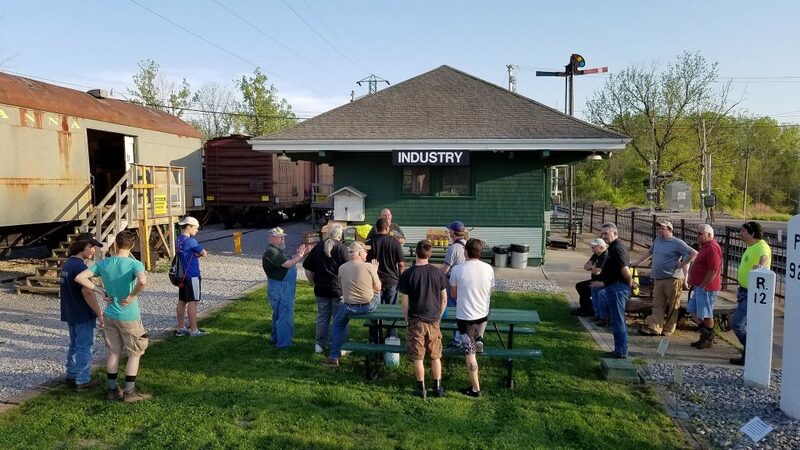 Enjoy the warm weather and join us for our monthly museum meeting at Industry Depot, located at 282 Rush Scottsville Rd., Rush, N.Y. Following a brief meeting, enjoy rides on our museum railroad and tours of our restoration shop. We will be taking the diesel train all the way up to New York Museum of Transportation for a brief tour of their main barn before returning to Indsutry. This event is FREE and open to the public! Meeting starts at 7:00 p.m. – Join us!